One way to enhance a travel experience is to stay at an historic property. These distinct sites offer a glimpse into the region’s culture and history and set the tone for daily and evening adventures. Price points and room styles vary from location to location. My trips have included a sparse room at a former U.S. Army barracks to an opulent suite at a restored Asian palace. 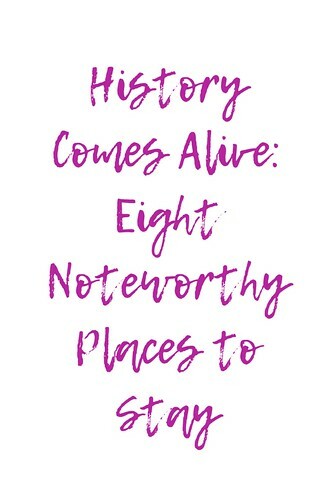 Each experience has demonstrated why it’s important to occasionally select an historic place as a place to stay. 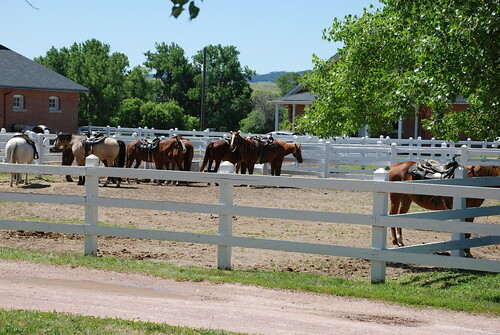 People usually select a dude ranch experience so they can participate in daily horseback rides and outdoor activities. 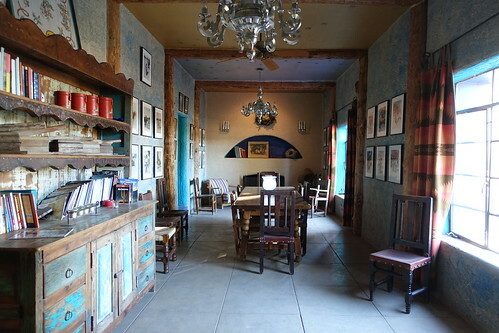 In the Sonoran Desert near the Arizona and Mexican border, it is possible to combine a ranch experience with history. During my Rancho de la Osa visit, I spent time in Room #11, the Lyndon B. Johnson Presidential Chamber. This colorful adobe walled room took me back to the point in history when LBJ and his wife, Lady Bird Johnson, chose to visit Rancho de la Osa. 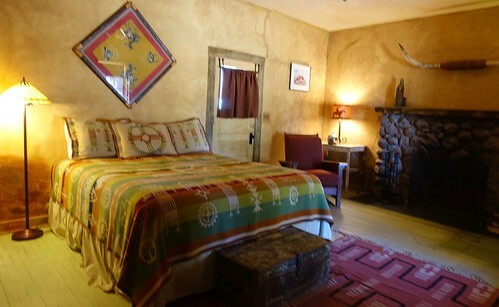 The ranch’s website provides colorful images and descriptions of each guest room. In the evening I met fellow guests inside a small structure that has been designated as Arizona’s oldest continually used building. As I walked through the ranch’s main building, I admired the pictures and artifacts that shed light on the site’s notable history that overlaps Native American culture, Spanish missionary life, Mexico’s independence with Spain, and ranching lifestyles. I could see why politicians and celebrities found refuge in this serene setting for decades. I was fortunate to have an unplugged adventure as part of 2017 Travel Classics West Writers Conference Post-Tour organized by Mary Rittman at Visit Tucson. Individuals seeking Old West history in the heartland of Nebraska should consider visiting Fort Robinson, the site of the 1879 Cheyenne Outbreak and the death of the Sioux Chief, Crazy Horse. After World War II, Fort Robinson closed and in 1962 it was opened as a state park. Today, visitors can stay in renovated rooms that were once occupied by soldiers and officers stationed at the fort. There are 35 different types of lodging that range from individual rooms that accommodate two people to a large hall that can house up to 60 people. The rooms offer the basics and are only available from April 1 to November 30. While taking a Geiger & Associates press trip to northwest Nebraska, I spent a night in a former barracks. The men of the 8th and 12th Cavalry and the Quartermaster Remount Service once used my assigned room. This experience allowed me to step back to the late 19th century and imagine what it was like to live on the fort while simultaneously being able to experience the onsite family centered activities, including horseback riding, without having to commute to lodging in a nearby city. Many hotel reviewers consider this gem to be one of the best boutique hotels in Old Quebec. 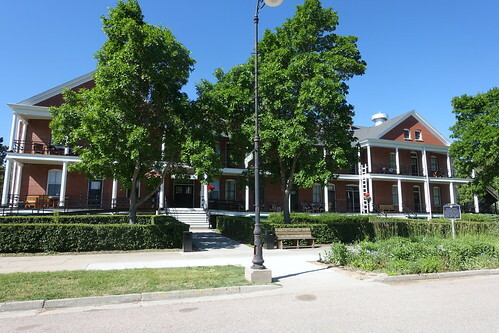 While I agree that the location of Auberge Place d’Armes is amazing, I was equally impressed with the history surrounding the inn. Guillaume Couillard built the structure in the early part of the 17th century and eventually married the daughter of the first settler in New France. Today, the hotel is run by one of Guillaume’s descendants. 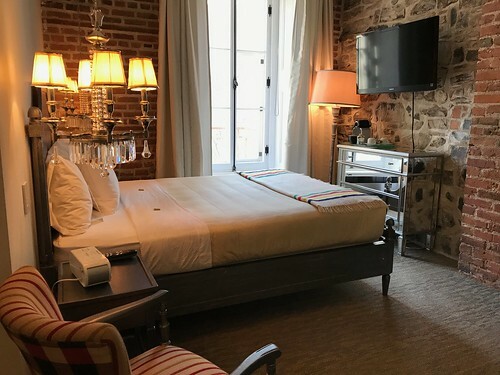 Guests can choose from two different styled rooms—French with stones and exposed beams, and English with brick and woodwork. Each room reflects a notable person and is decorated accordingly. An easy to navigate website provides a preview of the different décor options. I climbed a creaky curved stairway to Room 14–Lord Dufferin. This historical character was the first governor to reside in the Citadel of Quebec. Breakfast was included in my room charge. My stay at this hotel was part of the 2018 Travel Classics International Writers Conference Pre-Tour organized by Yves Gentil at DQMPR, a New York Travel Public Relations firm. Some notable hotels simply have a world-class history. The popularity of Charlevoix, a lush landscape shaped by a meteorite 350 million years ago, created the need for a luxurious hotel to be built at the end of the 19th century. To capitalize on this prime recreational area, a wooden hotel catering to the United States’ and Canada’s upper crust was nestled in the mountains between two rivers. Many of the early guests were cruise ship passengers. President William Taft opened the hotel’s golf course in 1925. A fire devastated the entire hotel in 1928. 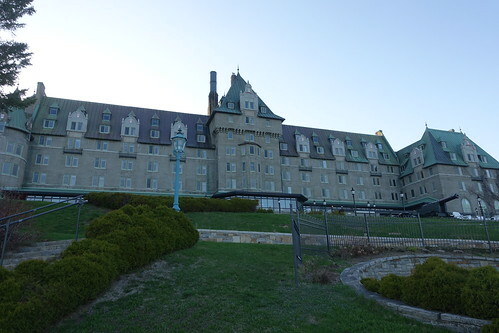 Within a year, a sturdier hotel was built and was nicknamed “the castle on the cliff.” Le Manoir Richelieu is now part of the Fairmont brand and attracts another generation of affluent and sophisticated guests. The hotel will be hosting the G7 Summit on June 8-9 and the entire hotel was rented by Global Affairs Canada from May 27 to June 12. While touring Charlevoix during the 2018 Travel Classics International Writers Conference Pre-Tour, I spent a night at this recreationally orientated resort with massive public areas. 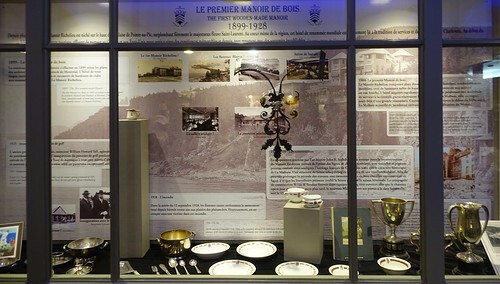 In the lower level of the hotel, guests can learn tidbits of information about the hotel’s past by looking at display cases filled with photos and memorabilia. This former neoclassical palace has maintained its luxurious qualities as a five star Park Hyatt Hotel and a National Historic Monument. 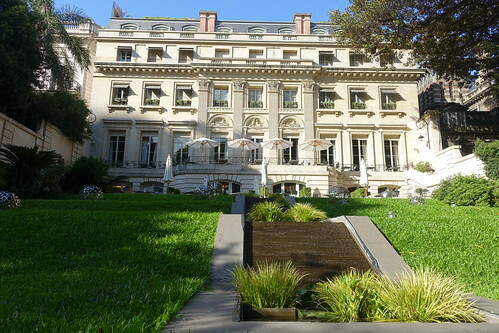 The hotel is conveniently located on Avenida Alvear in the affluent Recoleta shopping and residential district. French architect Leon Dourge originally built the restored structure in the 1930s for Mr. Luis Duhau, the Minister of Agriculture. Palacio Duhau is one of a few palaces remaining from that era. Hyatt Hotels Corporation renovated the property in the early 2000s and built additional guest rooms in a tower called the Posadas Building. 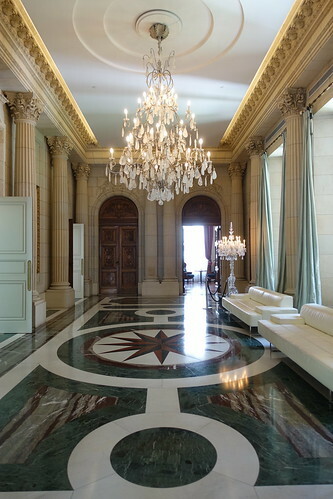 Only 23 of the 165 rooms are located in the original building. Expect to pay more for the rooms located in the former palace. Most striking are the public areas with high ceilings, imported oak panel carved doors, Italian marble floors, and elegant crystal chandeliers from Europe. A magnificent tiered garden filled with mature trees and beautiful flowers bridges the gap between the old and new buildings. To take advantage of the daytime and nighttime ambiance, I recommend dining outside along the perimeter of the garden or inside at a window table. My desire for French macarons, freshly made chocolates, and designer sweets was fulfilled at the Duhau Patisserie in the lower level. To reach this area, I strolled through an underground corridor where I leisurely previewed a collection of fine art from local and international artists. 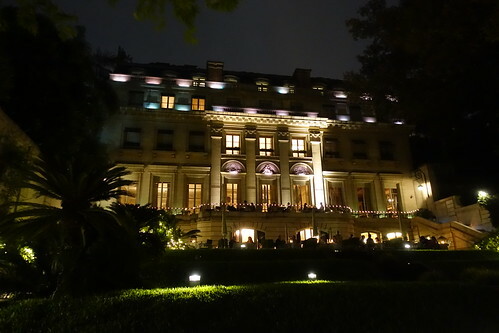 My pre-cruise stay at this elegant hotel was a wonderful introduction to Buenos Aires’ history. Yes, I was able to use Hyatt points for my spectacular experience. When our small group exited our mini bus, we were greeted by the sound of a trumpet and light refreshments. This unexpected royal welcome set the tone for the remainder of our travels that took place just a few days before my son and daughter-in-law’s Delhi wedding. 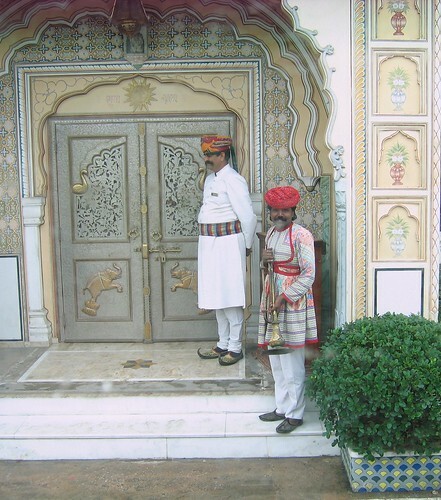 The Raj Palace is a fine example of Mughal architecture and is the oldest mansion in Jaipur. 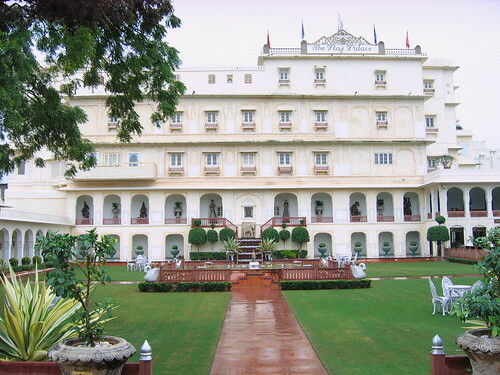 In the 1990s, the royal family chose to restore the palace and create a hotel that resembles a museum. Each room takes guests back in time to a place where customized craftsmanship and fine details were the norm. Each member of our group was provided an old fashioned key that unlocked a unique room with distinct architectural features. 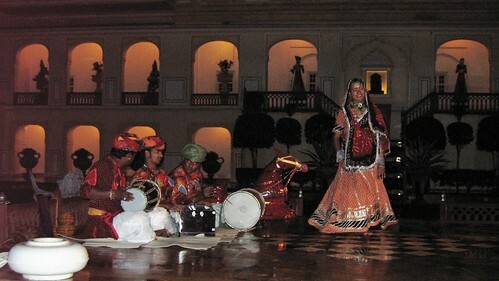 In the evening, we watched a colorful dance performance and were served local cuisine in an outdoor dining room. After being treated like Indian royalty, I was eager to explore the Taj Mahal and the other Golden Triangle historical treasures. Situated on a hill on the edge of the Old City in west Jerusalem, the Mount Zion Boutique Hotel & Suites offers views of Jerusalem’s notable skyline. The original building was designed as an eye hospital to service Muslims, Christians, and Jews in the late 19th century. The Turks used the building during World War I as an arms warehouse and also destroyed part of the original structure. During Israel’s War of Independence, a cable car ran at night to transport medicine and arms between Mount Zion and a room in the former hospital. Budget-minded guests have the option to reserve lower priced rooms that face the courtyard. Rooms with a view are a bit more costly. Individuals who want to learn more about the history of the building can visit the small onsite museum. 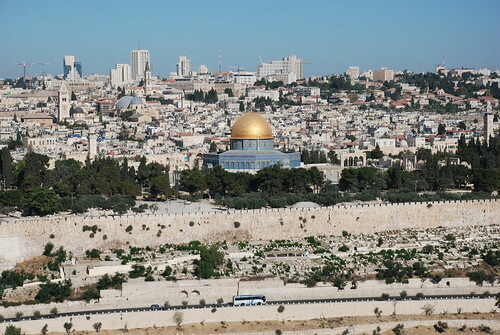 I stayed in this location for a few days while taking one of Jacob Firsel’s private tours of Israel. Our guide, Jacob Firsel, selected the Scots hotel for its ambiance, outstanding service, and convenient location. As a bonus, I learned about its history. In 2004, the Church of Scotland created a hotel on the site of the Scottish Hospital that was originally built in 1894. David Watt Torrance, a dedicated doctor, recognized the need to service a diverse population that struggled with poor health and inadequate sanitary conditions. The dire situation is exemplified by the fact that two of his wives and four of his children died from the severe living conditions. After his death, his son, Dr. Herbert Torrance, maintained the hospital until it closed in the late 1950s. Decades later, the structure was transformed into a 5-star hotel that includes some of the character of the original building. The hotel continues to welcome a diverse clientele. While it has been several years since I stayed at this site, I do recall the amazing Israeli breakfasts that made it possible to skip lunch. While it isn’t always feasible to stay in an historic building, it is an added perk when it fits into a traveller’s overall game plan. The uniqueness of these types of properties enhances the time at a destination and oftentimes complements the nearby attractions and town. As you start to plan your next trip, consider your travel options. In some cases, it is possible to use loyalty points to stay at an incredible historic property. Keep in mind that a unique location will add a special layer to your next travel adventure.